Project Lifesaver Manitoba have taken a major step towards bringing the Project Lifesaver program to the Winnipeg area. Designed to track and rescue those with cognitive conditions who tend to wander, this service answers a critical need for protecting people at risk of wandering, including those with Alzheimer’s, autism, Down syndrome and dementia. 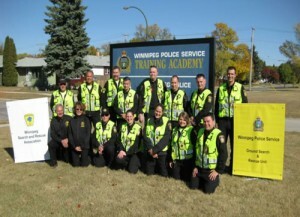 instructors attended the Winnipeg Police Academy and conduct mandatory training. 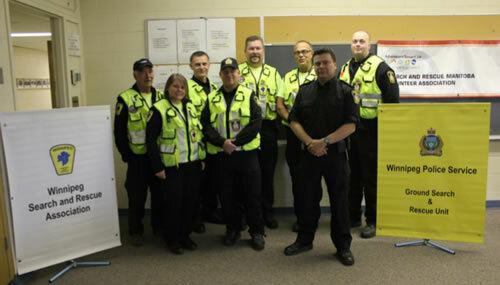 The two lead instructors, Denise Wallace (Area Commander) and Barry Pauluk (President) are members of Lakehead Search and Rescue out of Thunder Bay ON. Lakehead SAR is a member of the Ontario Search and Rescue Volunteer Association (OSARVA). Both Denise and Barry are recognized inter-agency instructors and donated their time to provide training to the Winnipeg SAR responders responsible for running the Manitoba program. Project Lifesaver International will continue to provide certification, ongoing management and support to Project Lifesaver Manitoba. Sgt Randy Antonio WPS GSAR Unit. 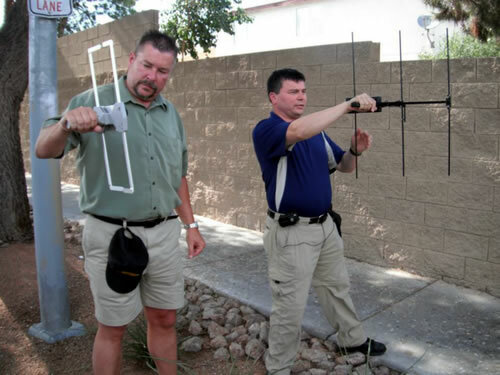 Both are seen her demonstrating their dedication to Project Lifesaver Manitoba by attending Electronic Search Specialist Instructor Training in Las Vegas – July 2012. Their training includes teaching public safety officials how to use the equipment and how to gain the trust of and communicate with people who wander, as well as to ensure that caregivers are well versed in the program – all of which are essential to a successful rescue. tracked regardless of where the person has wandered—even into a densely wooded area, a marsh, a concrete structure such as a garage, or a building constructed with steel. When a loved one goes missing, caregivers notify locally trained agencies and they are dispatched to the wanderer’s area and the average rescue time remains around 30 minutes. This service will be available in the Winnipeg area starting in January of 2013. Families and caregivers can enroll their loved ones by contacting Project Lifesaver Manitoba who will provide information on the enrollment requirements, process and associated enrollment fees. In the event a Project Lifesaver client is reported missing, there is no cost to the family or missing person.